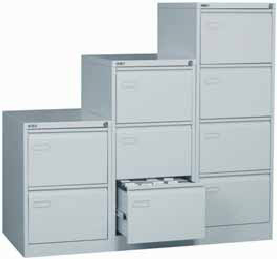 Strong, attractive and safe - the ideal filing cabinet for any office or home. For safety, all drawers are fitted with an anti-tilt mechanism allowing only one drawer to be opened at a time. 100% drawer extension provides full access to filing. Smooth roller bal runners for easy movement of drawer. Locking mechanism provides security for sensitive material. 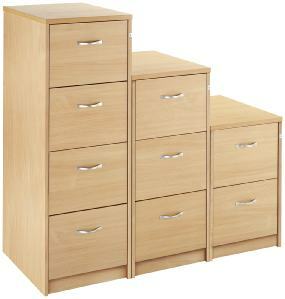 These cabinets are manufactured to the highest quality and are excellent for the modern office or home. For safety all drawers are fitted with an anti-tilt mechanism.